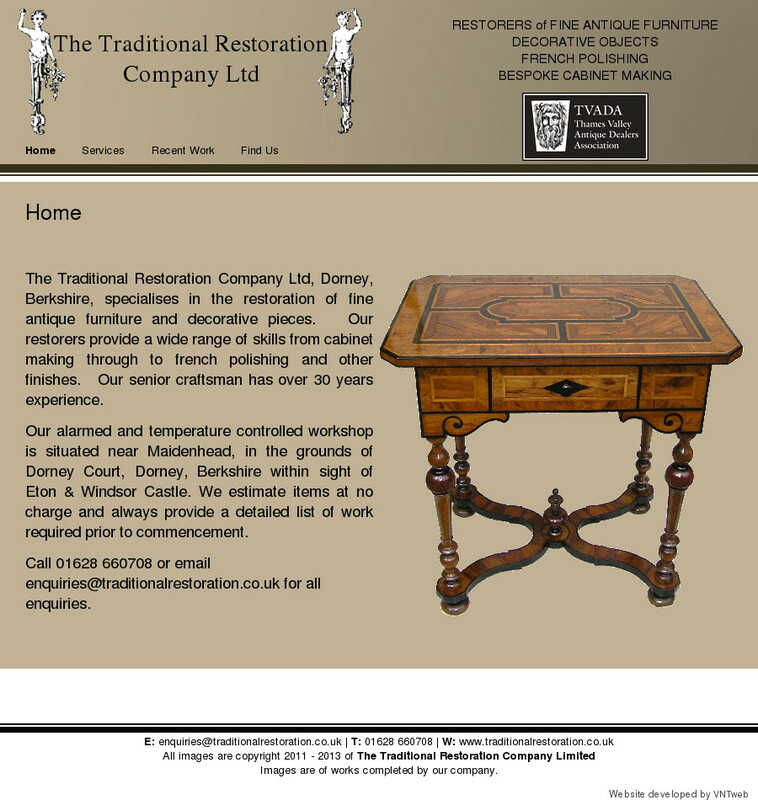 Traditional Restoration, a company based in Dorney, Berkshire, which specialises in the restoration of fine antique furniture and decorative pieces, were looking to be able to edit and maintain their website. 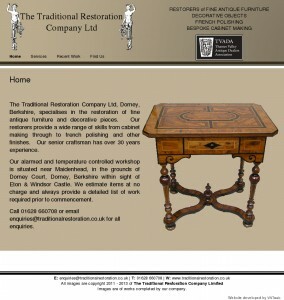 Recreating the existing look of the website and transferring it to a CMS gave them this ability. With a CMS based website the content can now be amended by them. Also additional features based upon modular functionality can be added, all under their control.